Over a 20 year period, I have collected all the trunk related documents and historical information I could find. These items were rather difficult to find. Since many trunk collectors and restorers are interested in this historical information, I have decided to make copies available. These are photocopies of the old documents, not the originals (which have cost much more). I have found these to be very interesting and educational. Another item is a detailed research article I have written on the topic of Jenny Lind and Saratoga Trunk styles, containing 30 pages of information, illustrations, and document copies. These items are not available from any other source! Prices include postage within the U.S. Please order by Item Number and state Quantity desired. 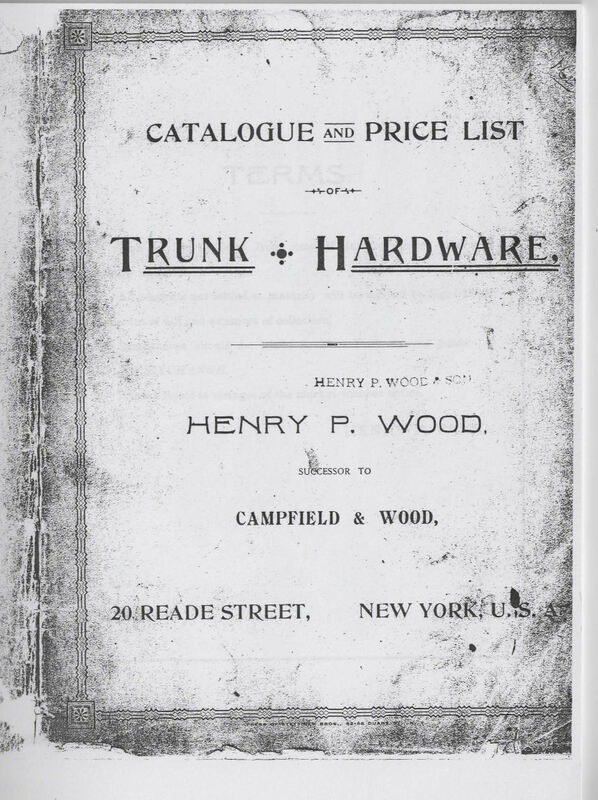 RD500 - 1909 Seward Trunk & Bag Co.
Virginia, 42 page Catalog. Many trunk styles illustrated, including Saratoga, Hat, Steamer, Bureau, Flat, etc. Includes a 2 page description of how their trunks were made. Interesting!! This catalog with complete price list dated 1919 is filled with illustrations and descriptions of Wardrobe Trunks, Dress Trunks, Steamer Trunks, and early trunk type suitcases. From Rochester, NY.